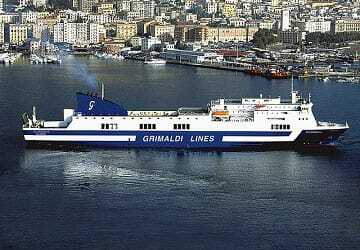 Grimaldi Lines Florencia ferry carries around 840 passengers and up to 160 cars and offers an array of onboard facilities to keep you entertained during your trip including a self-service restaurant, a choice of bars, a casino, a shop, a children’s play area and a choice of cabin accommodation. 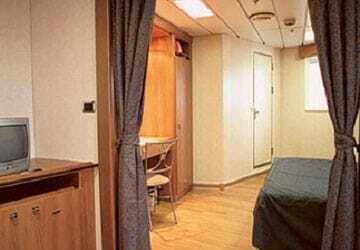 There’s a total of 93 air conditioned en-suite cabins with a choice of both inside and sea view (outside). 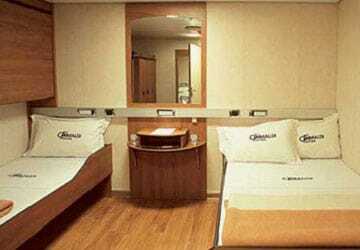 The Florencia also has 2 luxury suites with double beds and 2 cabins designed for disabled passengers. 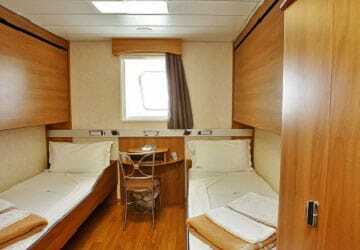 Each cabin contains 2 standard beds, 2 foldaway beds, a writing desk, a 4 door wardrobe, a mirror and a small armchair. In addition, the 2 Luxury suites feature a bedroom with a double bed, a TV set and a living room with a divan with double bedding. For those who prefer not to book a cabin there are 62 reclining seats available. 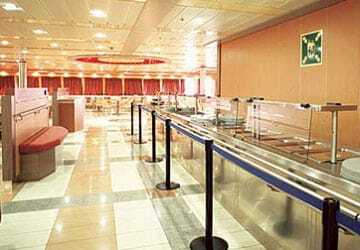 Meals are available in the self-service restaurant with a choice of many different dishes on offer. The Vesuvio Club bar features a cafe room while in the outdoor sun deck bar (open in summer months) you can have a drink and relax on one of the deckchairs in the sunshine. 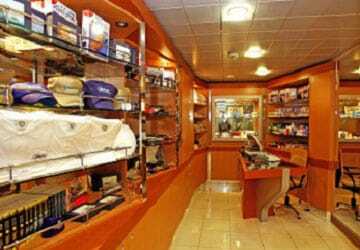 You’ll find the onboard shop selling numerous products and souvenirs opposite the reception on deck 5. 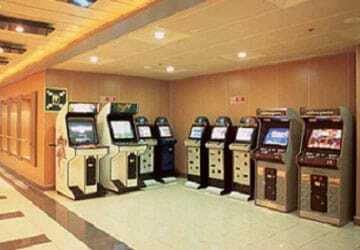 The Florencia has a video games room and casino with slot machines. Children are well catered for with Grimaldi Lines and the Florencia features a dedicated child’s play area to keep younger passengers occupied during the trip. Assisted can be provided if required however you will need to inform the staff on arrival at the port. 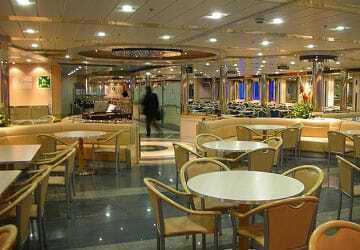 The Florencia ferry contains 2 cabins designed for disabled passengers. Please Note: Whilst we have taken great care in making our Florencia guide as accurate as possible, onboard facilities, services and entertainment may vary depending on the date and time of year that you travel, facilities mentioned may change without notification and ferry companies reserve the right to operate vessels other than those mentioned at time of booking without prior notification. My parents in-law travelled and not me. They said that it was a nice journey but I don't knowe the details because they are still on hiliday. "Barcellona/Savona you can do it!!!" Back from our hoilidays in Spain, we decide to travel with a ferry instead driving home. We took one in Barcellona, it was an excellent idea! In 24 hours we were at home. A relaxing crossing, long 19 hours, in a nice enviroment not too busy. Clean cabin, quiet, helpful staff. Positive experience!